Does Your Company Deserve A Corporate Video? If your company doesn’t have a corporate video or you don’t utilise video content to promote and sell products, have you thought about adding this medium to your marketing arsenal? If you’re toying with the idea of putting video content out there, here are some top tips to take on board. There are multiple types of video that can be used by companies to promote their brand and drive sales. From mini-documentaries that provide information and advice-laden animated explainer video clips to videos that showcase individual products or product ranges, it’s possible to use video content to market almost any kind of business. Think about what you’re aiming to achieve and who you’re trying to target at all times when putting video content together. Your target market should define everything from the tone and style of the presentation to the platforms you use to share and publicise your videos. Google statistics suggest that almost 50% of users will look for videos that are linked to a product or service before making a purchase. Videos should be snappy, concise, and engaging. A third of people will stop watching videos after 30 seconds and less than 50% will hang in there after a minute. Ideally, your video clip should be between 15 and 40 seconds, so make the most of your time. When it comes to filming, use a high-quality camera and add audio separately to improve the clarity of sound. It’s wise to make use of video editing services to provide your customers with a professional-looking, slick clip. If you’re not experienced in video creation, look for a firm that has expertise in corporate video design. How can you tell if your website is mobile-friendly? It’s always beneficial to step into the shoes of a customer when you’re analysing your website. Open pages on your mobile or tablet, and see what you think. Are you impressed, or are you struggling to do or see things that work like a dream on your desktop? Another great way to test your site is using Google’s Mobile-Friendly Test Tool, which takes less than a minute to determine whether or not your site makes the grade. If there is room for improvement, it’s worth investing time and money in mobile web development. More than 1 billion people in the world subscribe to YouTube, and more than 45% of users watch at least one hour of video content on either YouTube or Facebook every week. Every day, Facebook users watch 100 million hours of video clips and SnapChat subscribers view 10 billion videos. More than 80% of Twitter users view video content and 61% of marketers plan to use LinkedIn Video in 2019. Video consumption on Instagram increased by more than 40% in 2016 alone. Why are videos better than images? Videos are more engaging than images, they offer a more immersive experience, and they enable you to connect with potential customers on a much deeper level. Statistics show that incorporating video content can increase sales significantly. According to Adobe, users who watch product demo videos are almost twice as likely to make a purchase, and figures suggest that including video clips on landing pages can increase conversion rates by 80 percent. Including the word video in the subject line of an email can also increase open and click-through rates. Share rates for videos on social media are 1200% higher than for images and text posts combined. When you’re thinking about where to share and distribute your videos, it’s vital to bear your target audience in mind. Think about where they will be when they see the clip and which platforms and sites they’re most likely to use. Use market research to look at browsing habits. If you’re targeting teenagers and young adults, for example, you may find that using platforms like Instagram, YouTube, and SnapChat is more effective than sharing content on Twitter. It’s also a good idea to include subtitles. This will make your video more accessible, but it will also help to improve your search ranking. If you don’t already use videos to promote your business or sell products, it may be time to revamp your marketing strategy. At Digital Shadow, we provide companies with beautiful, modern and professional corporate videos serving two purposes simultaneously: creating and enhancing awareness of your brand’s image, and delivering more leads through digital marketing campaigns. Why Hire A Professional Web Designer? 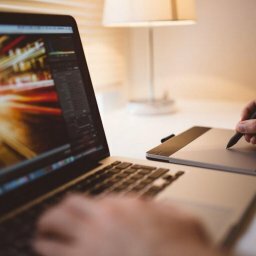 At Digital Shadow, we’ve always coded our websites with the utmost care and elegance, using only the latest tools and following the most up-to-date design trends. We write and publish articles related to various subjects that interest us: mainly SEO, design & usability and online marketing. Some of them are guides on how to do it better, others are just our opinions regarding the current trends. We hope you'll find the articles useful and enjoy your read. 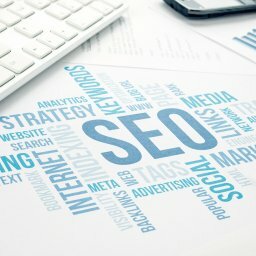 What makes a good SEO strategy for small businesses? We are an innovative digital marketing and web design agency based in Swindon. We craft beautiful websites that reflect the ambitions of our clients. We specialize in delivering SEO services with remarkable results. We take care of the branding, hosting, online security and copywriting. Whether you need an eCommerce platform, a micro site to launch a new brand, or a face lift and marketing boost through social media, we are ready to listen to you. 2019 © Digital Shadow agency Swindon.